Welcome to Christ Church North Adelaide – an outstandingly beautiful pioneer church in North Adelaide in the style of Anglo Norman architecture, overlooking the city of Adelaide. 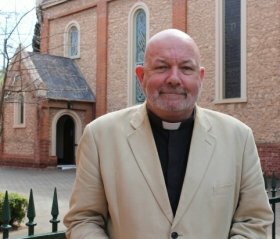 Please click 'Learn More' to hear a recent interview with The Reverend Keith Brice on the ABC SE on his time as a trauma chaplain. Please click 'Learn More' to read "The Anglican Archbishop of Adelaide Geoffrey's Response to the ABC Report on Domestic Violence - Ad Clerum on Domestic Violence, 20 Jul 2017"